In a series of posts, you will be able to learn from how Majestic does their work. In part 1 we discussed the Queens Award, how Majestic goes beyond SEO and the changing way agencies have to work. Here in part 2, we talk about Google Updates, the “Why” of Majestic and them going into space and what that does for your marketing. Did Majestic benefit from Google Updates? Whenever Google does an update, SEOs turn to platforms like Majestic. That might mean Majestic actually benefits from Google Updates. But does it? Dixon explains that whenever there is an update, there is always some panic around it. There are many updates and sometimes Majestic does see spikes in the sign-up updates. 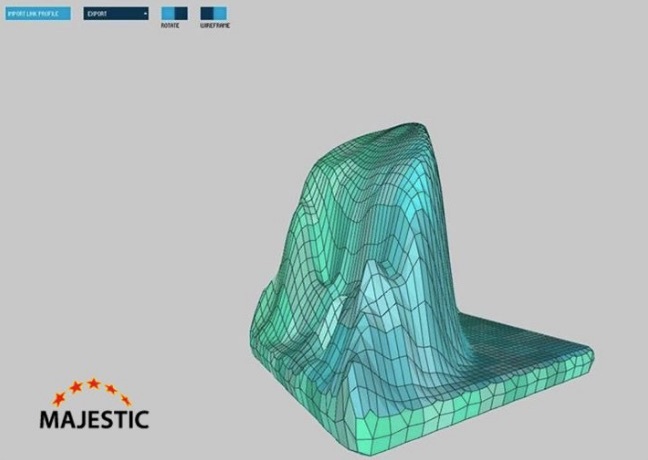 Majestic wants to avoid being a product that emulates what Google is doing. Majestic wanted to become a search engine. Along the way, they found interesting data that they can use in different ways. But they stick to their core. Majestic will never be giving search visibility metrics for example. Because they don’t want to step on their customer’s toes, but also because they want to be independent in analyses. They want to analyse and be custodians of the data. What is the “Why” of Majestic? According to Simon Sinek, every business needs a ‘why’. What is Majestic’s why? Dixon starts off with ‘because we can’. With that he actually means because Alex (last name) can. He is the person who came up with Majestic. He left his job the day he became a British citizen to chase his dream. The why came from there: the idea of a distributed search engine should be more efficient and more honest than a centrally controlled one. Majestic is a search engine done ‘the British way’. If one day you sell 2 pounds of data, try and make 20 pence worth of profit instead of a loss. Majestic tried from day 1 to make a profitable business. Because they believe a successful business is finding a sweet spot in the market that you can fulfil better than anyone else. You don’t have to gain every single user on the internet to be able to make money. Mel Carson explains that this is not a project that just happened. It started about 18 months ago. Mel attended a conference where the keynote speaker was the founder of a company called “made in space”. They were trying to send a 3D printer to the International Space station. The idea behind that was that 3D printing in space would be much cheaper than sending new things up all the time. This lead to a talk between Dixon and Mel about 3D printing. Dixon had an idea about 3D printing link profiles and brought in Brendan Dawes, who is a data artist. It seems like an idea that is really out there, thought of in a pub and then worked out. Most businesses would look at leads right away. Majestic definitely didn’t. Most businesses aren’t creating anything different. Majestic wanted to create something different. There are times to run with the crowd and there are times to be different. The opportunity to go into space presented itself and Mel thought: “Why the hell not”. He did think: “how is this going to translate into customers, but still wanted to do it. Price wise it wouldn’t cost them more than setting up a booth at a conference. After that the question “how do we message this” arose. Even before they started it got picked up already. Mel put on his PR hat and started thinking about the leverage they could get out of it. It would be at least a year worth of leverage. The rocket took off in March. Sometime in the summer, it will be printed, then it then has to be brought back to earth. The 3D printed Internet from Space will then be brought to conferences around the globe, which will lead to people having their picture taken with it and tweeting about it. And that’s just social. The initial cynicism was there. Why is marketing doing this? They explained that to the development team by showing them it would put Majestic (literally) on a worldwide stage. It’s a great opportunity. Space brings emotion with it. Everyone has ‘something’ with space. One of the stories that came out is that others can ‘run with it’. One journalist called it the ‘first print ad in space’. That gave Mel the line he could use that as a pitch to the ad trades because that is the sort of thing they will pick up on. There are many different angles to the space story. Branding, but also it fits with the brand and it has focus. Majestic uses a matrix to pinpoint why it could fit in different areas. So what is there to learn from a project like printing in Space? We summarise the most important lessons learned. Finally, we look at what is next for Majestic. It’s not a copy / paste type of thing. However, Dixon points out that Red Bull does similar things. Mel explains why it’s not something that is easy to reproduce: it’s 18 months in the working. On the question “What is next for Majestic?”, Dixon first keeps it general by saying we’ll have to wait and see. In the final part, he opens up a little bit, but you’ll have to see that in the video. His quote “We’re not out to win at day one” says a lot. That was quite the chat we had with Dixon and Mel right! You can watch the first videos in our first post, but you can also choose to listen to all of them at once in the video below or the audiofile below it! 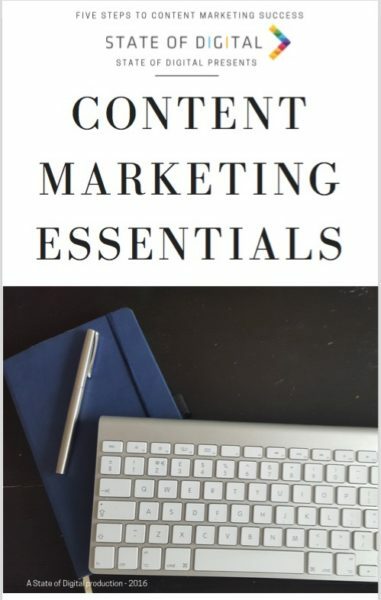 You will receive the free e-book "Content Marketing Essentials" as a thank you! * Personalize your experience when signed up!